Japan is world famous for its sakura, or cherry blossom, season. In early spring, thousands of trees across Japan burst forth in shades of red, pink, and white, washing the land in color. Many families enjoy hanami at this time, picnics or parties for the purpose of viewing the flowers. Tourists also flock to Japan during the cherry blossom season. Tokyo is a prime viewing location due to its abundant parks and green spaces. 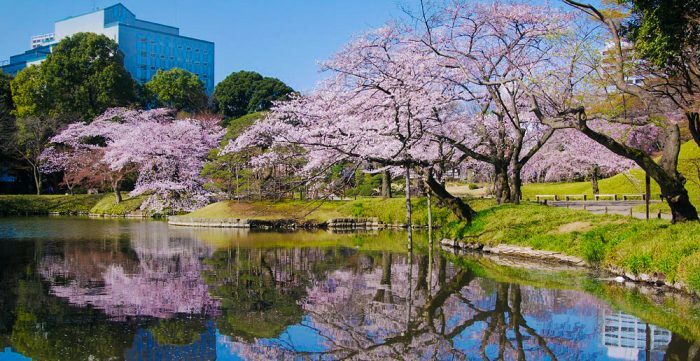 If you’d like to see Tokyo in bloom, when should you plan your vacation? 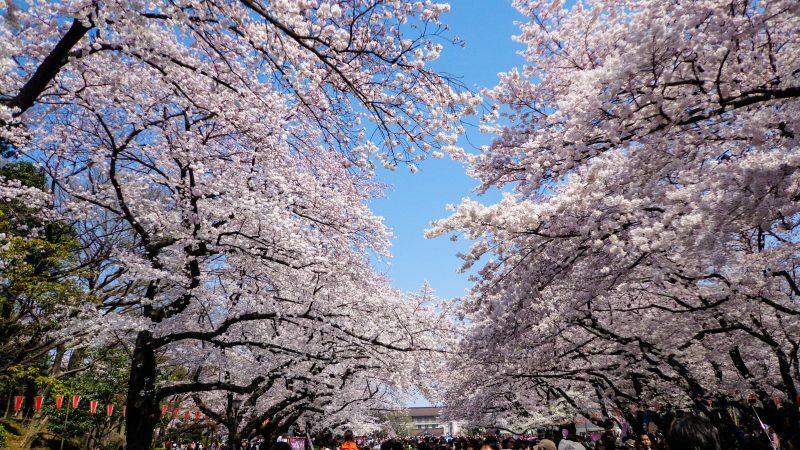 What are the best spots for cherry blossom viewing? 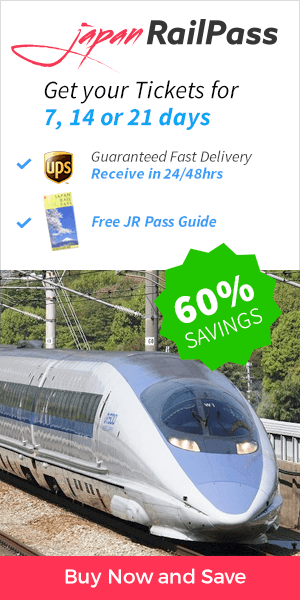 And, how can you use your Japan Rail Pass to get the most out of your trip? 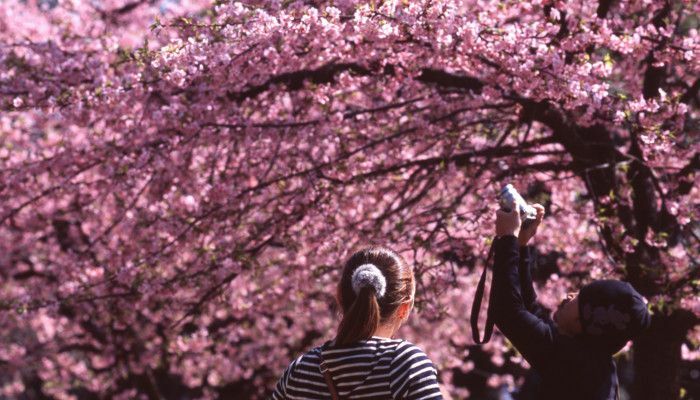 This guide is designed to help you answer those questions and plan your own hanami experience. Don’t forget also to check our cherry blossom travel tips! The cherry blossom season in Tokyo typically peaks from late March to early April. Over the past ten years, the first blooms have occurred between March 20 and March 28. Full bloom usually peaks between March 27 and April 6. 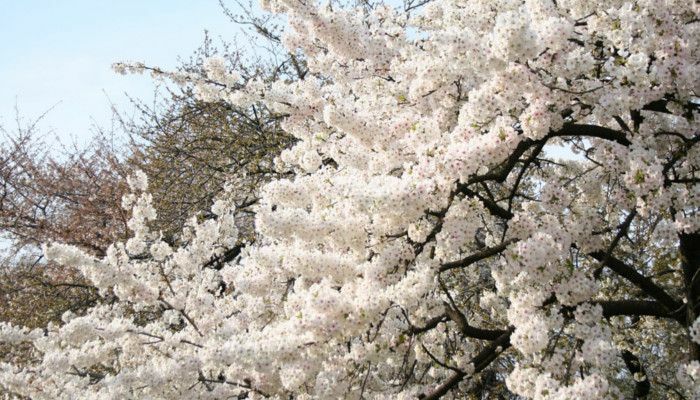 If traveling internationally, the first week in April provides good odds of seeing the blossoms at their peak, but don’t forget to check our bloom reports regularly. You may also use your JR Pass to travel to other cities like Kyoto (usually one week later) to experiencing peak blooms during your stay. The Koishikawa Korakuen is one of the most famous gardens in Tokyo. It is home to dozens of cherry trees, including an interesting specimen of weeping cherry. If your trip threatens to end before full bloom is reached, fear not, because the weeping cherry of Korakuen typically blossoms days before the rest. Opening times and prices: The garden is open from 9 a.m. to 5 p.m., and admission is ¥300. How to get there: The Koishikawa Korakuen is in the Tokyo Dome area, a ten-minute walk from any of two surrounding JR stations (Iidabashi and Suidobashi, on the Chuo-sobu line) or the Korakuen station of Tokyo Metro. 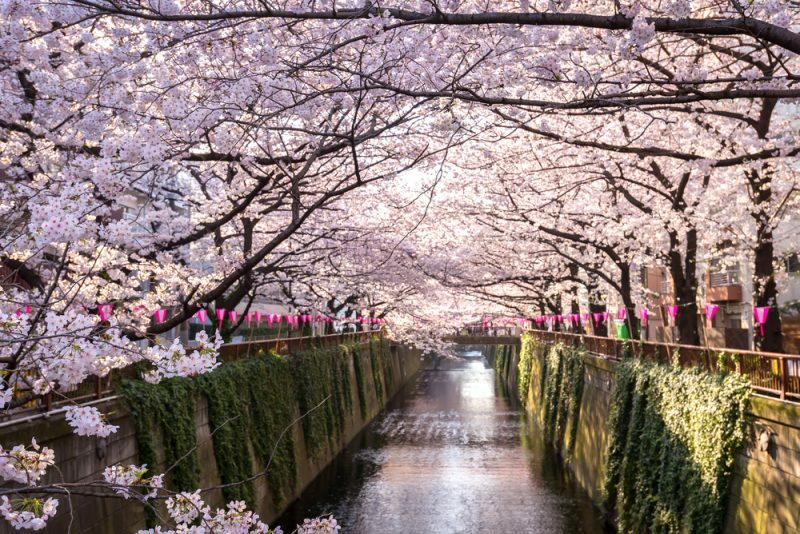 This garden in central Tokyo is home to dozens of species of cherry tree, totaling more than 1,000 trees in all. Because of the great variety, you can enjoy blossoms in Shinjuku even if you are a week early or late for Tokyo’s full bloom. Opening times and prices: The garden is open from 9 a.m. to 4:30 p.m., and admission is ¥200. How to get there: Take the Yamanote Line to Shinjuku Station. The garden is a ten-minute walk from the station. 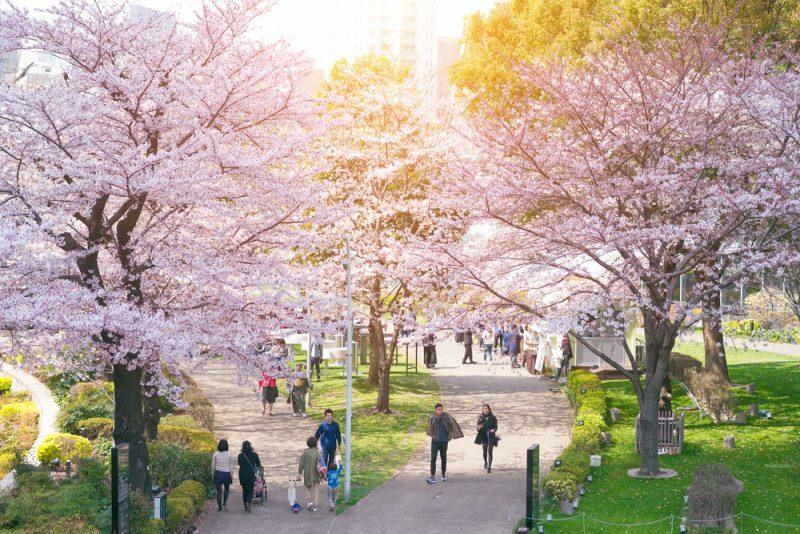 More than a thousand trees, free admission, and night lights make Ueno Park one of the most popular hanami spots in Tokyo. Ueno’s trees usually blossom one to three days earlier than most of the cherry trees in Tokyo. 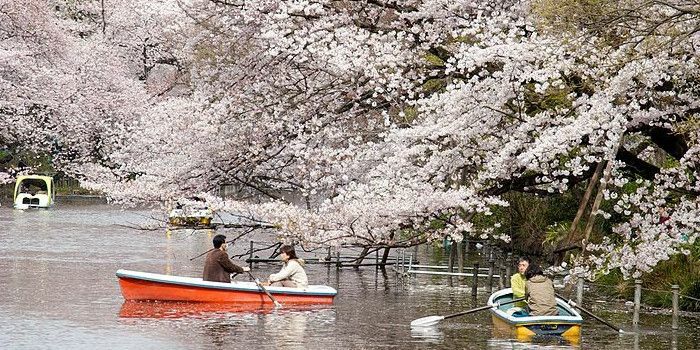 You can even enjoy the blossoms alongside fascinating wildlife at the Ueno Park Zoo! Opening times and prices: Admission to the park is free, but museums and the zoo located onsite each have individual fees. For two weeks during the blooming season, the park will be illuminated nightly from 5:30 to 8 p.m. for nocturnal sakura viewing. How to get there: Take the Yamanote Line or the Keihin-Tohoku line to Ueno Station. The park is a short walk away. The moats and waterways in the northwest of the Imperial Palace are lined with hundreds of cherry trees. Boats can be rented to view the trees from the water, and the trees are illuminated in the evenings. If you get hungry, enjoy the food stands and another thousand cherry trees at nearby Yasukuni Shrine. Opening times and prices: Admission is free, and illumination takes place until 10 p.m. nightly. How to get there: The park is located a short distance from Kudanshita Station (Tokyo Metro). 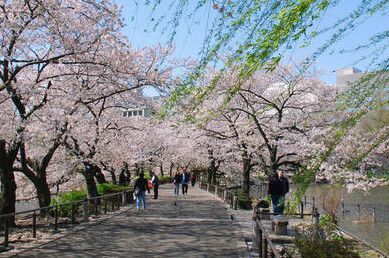 Asukayama Park is considered to be the oldest and most famous of Tokyo’s hanami spots. Several hundred cherry trees are illuminated each evening, and admission is free. Opening times and prices: Asukayama Park opens all day and admission is free. How to get there: The park is only a short walk from Oji Station. 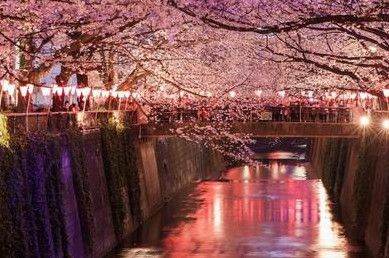 The cherry blossoms along Meguro River (in the cover picture), near the Nakameguro area, are also a sight to behold. There is also an illumination festival from March 24 to April 9 for nighttime cherry blossom viewing, which is an unique experience. Opening times and prices: The Riverwalk is public so is open all day and there is no admission fee. How to get there: From the JR Meguro Station, walk along the river to Nakameguro Station. Over 500 cherry trees stand around a beautiful pond which is lit up each night throughout the season. Visitors can rent boats and paddle around the water among the stunning blooms. The surrounding area (Kichijoji) is known for its stylish bars, cafes, and restaurants. Opening times and prices: Admission is free though you have to pay to rent a boat. The park is always open and the illumination lasts from 6:00 to 10:00 p.m.
How to get there: Take the Chūō Main Line to Kichijoji Station. Take the park Exit, cross the main road, and take the first right to the entrance of the park. 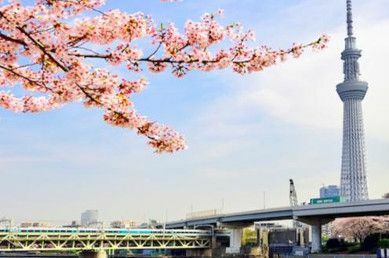 The park is located on the picturesque Sumida River and sits between the Azumabashi and Sakurabashi bridges. 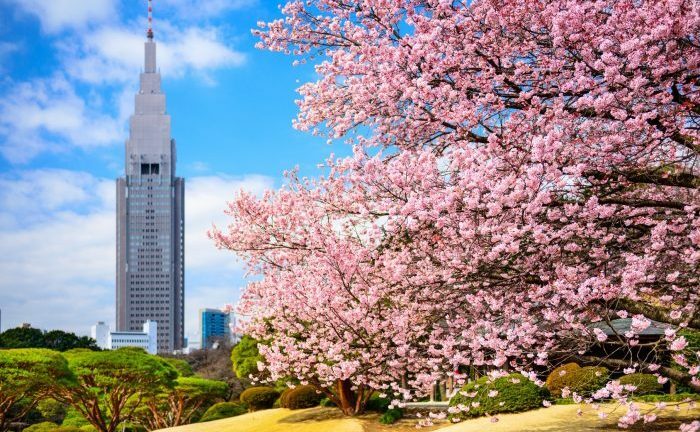 It has been a popular spot for cherry blossom viewing ever since the Edo Period (1603-1868) though nowadays you also can enjoy a sensational view of the capital’s skyline. Opening times and prices: The park is open 24/7 and access is free. Boats are available for river trips along the Sumida for a fee. How to get there: The park is very close to Asakusa Station which you can get to on the Ginza line and the Tobu Isesaki Line. Yoyogi is one of the largest national parks in Tokyo and one of the most popular places for a picnic. If you want to get a good spot it is worth going early as it gets crowded. It is close to Harajuku, Meiji Jingu Shrine, Shibuya, and Shinjuku, so you can easily combine a visit to the park with some sightseeing. Opening times and prices: Access to the park is free and it is open all day. Go as early as possible for the best picnic spot. How to get there: Harajuku station is just 5 minutes away and can be reached on the Yamanote line. Koishikawa Botanical Garden is part of Japan’s most prestigious college, Tokyo University. The landscape garden preserves thousands of types of trees and other plants and is a peaceful and pleasant spot for cherry blossom viewing, as it does not draw large crowds like many of the others. Opening times and prices: The garden is open from 9:00 a.m. to 16:30 p.m. and costs 400 yen to enter. It is closed on Mondays and from December 29 to January 3. How to get there: The garden is a 15-minute walk from either Myogadani Station (Marunouchi Subway Line) or Hakusan Station (Mita Subway Line). Which cherry blossom spot is your favorite? Why not visit them all, using your JR Pass to travel quickly and affordably. There’s hardly a more iconic place to view the breathtaking Japanese cherry trees (called ‘sakura’) in bloom than the Asakusa district of Tokyo. 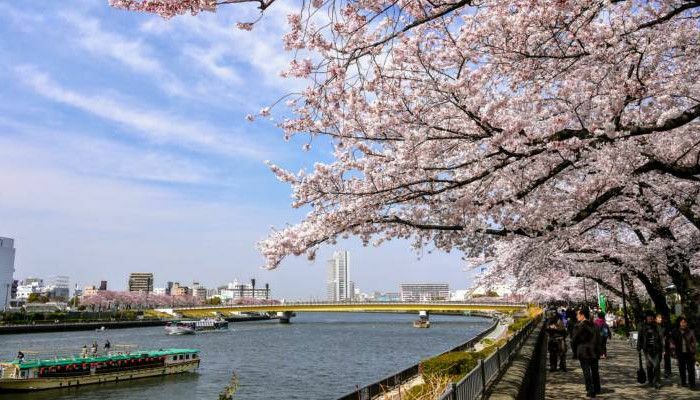 See brilliant displays of springtime blossoms in their full splendor along the riverbanks of the Sumida River, where you’ll stroll with a local guide in the morning. It is a join-in cherry blossoms viewing tour in Tokyo with an English-speaking assistant. Meet at the Tokyo Station in the morning and visit four famous viewing spots in Tokyo including the Imperial Palace, Asukayama Park, Skytree, and Shiba Park with tempura lunch. I found out several other best spots for sakura viewing. The one in Roppongi Itchome and Sakurazaka are great places too. Better yet, less tourists.